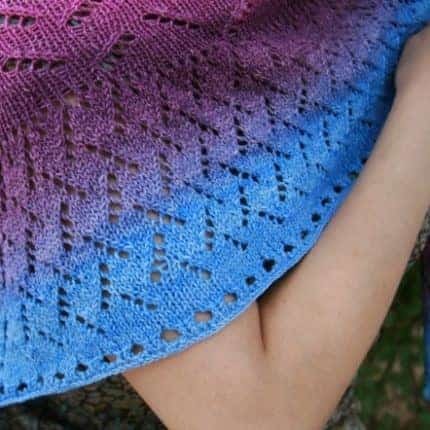 The Polyxena Shawl uses a half-pi construction, which doubles the number of stitches after each section. 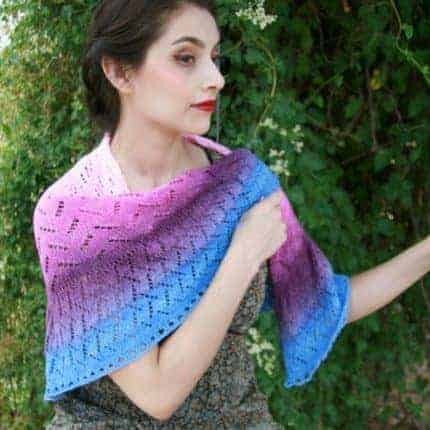 The construction is well-suited to showing off gradient yarn, and the final section is adjustable based upon how much yarn you have available. 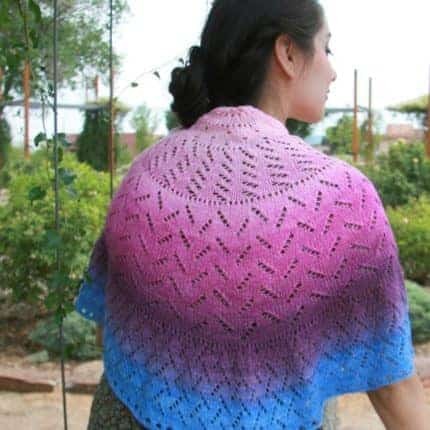 Although the name Polyxena refers to a character from the story of the Trojan War, the “poly” part of the name means “many,” which refers to the gradient or color-changing yarn used in this design. Designed specifically for the Jumbo Sock Garden Party Cake from Art-by-Ana, the pattern includes instructions for three sizes based upon how much yarn you have (463 yards, 555 yards, and 693 yards). Karen and Ana are co-hosting a KAL for the shawl. The KAL will run from September 15-November 15. For more details, visit their Ravelry group.